This study examines the role of enterprise information systems in fostering collaboration between the Purchasing, Production, and Outbound Logistics functions of manufacturing facilities. These forms of integrative information technology are considered key facilitators of supply chain management. The research model embeds these systems within a broader model of facilitators of interfunctional integration. The model is tested by path analysis, using a survey sample of 120 manufacturing facilities located in the United States. The results suggest that integrative information technology has a significant effect on collaboration, and that the level of demand uncertainty moderates the effect on collaboration. In 1958, Forrester proposed that: “There will come general recognition of the advantage enjoyed by pioneering management who has been the first to improve their understanding of the interrelationships between separate company functions and between the company and its markets, its industry, and the national economy” (Forrester, 1958, p. 52). Almost thirty years later, Porter stated: “Competitive advantage frequently derives from linkages among activities just as it does from the individual activities themselves” (Porter, 1985, p. 48). These two quotes frame the concept of Supply Chain Management (SCM), which has risen in prominence in the recent past (Mentzer, DeWitt, Keebler, Min, Nix, Smith, & Zacharia, 2001). A supply chain is defined as a “set of three or more entities (organizations or individuals) directly involved in the upstream and downstream flows of product, services, finances, and/or information from a source to a customer” (Mentzer et al., 2001). Supply chain management concerns the coordination of these flows, from the provider of the raw materials to the consumer or end user of a product. Min and Mentzer (2004) state that the SCM concept has evolved to integrate major business processes through interfunctional coordination and interfirm cooperation for better customer service and cost savings. In a perfect world, the entire supply chain behaves as one coordinated entity, smoothly transmitting information and moving material to efficiently meet demand. Supply Chain Management is popular in industry in part because at this macroscopic level, the concept is intuitively appealing. However, supply chain reality is far from ideal. The delivery of the simplest product to the ultimate consumer is a complex process requiring action from independent entities (Fawcett & Magnan, 2002). In addition, an individual firm consists of multiple functional departments, each responsible for one aspect of customer service. Purchasing strives to reduce the costs of obtaining raw materials and components while delivering the necessary quality. Logistics strives to reduce the costs of transporting product to customers while ensuring timely deliveries. In the middle, Production strives to reduce production costs while maintaining both high product quality and delivery reliability (Villa, 2002). In the traditional corporate structure of functional silos, there is little coordination between Purchasing, Production, and Logistics, and yet these three departments together comprise three core supply chain processes of a firm (Fawcett & Magnan, 2002; Pagell, 2004). Lewis (2006, p. 32) noted that organizations are undergoing transformations that include “changing structures and processes to be more global, more team oriented, more networked, and more responsive.” Hillebrand and Biemans (2003, p. 741) concluded that “internal cooperation is a prerequisite for effective and efficient external cooperation.” Lambert, Stock, and Ellram (1998) propose that all firms within a supply chain must first overcome their own functional silos in order to successfully implement SCM. Mentzer et al. (2001) conclude that without inter-functional coordination, SCM cannot achieve its full potential. Internal integration is important to individual firms because it is within their span of control. While the relationships with their customers and/or suppliers are subject to environmental and industry pressures, the leadership of a firm controls what takes place within its confines. This study examines the role of integrative information technology as one of the factors that influence the level of collaboration between three key internal supply chain management functions: Purchasing, Production, and Logistics. The research question is viewed through the lens of Organizational Information Processing Theory (OIPT). 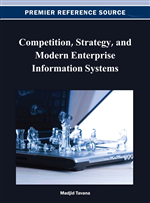 We highlight the role of enterprise information systems as an information-processing mechanism that promotes interfunctional collaboration.